Celebrity clubbers and international producers have been mesmerised by the magnetic vocals, stellar performances and songwriting talents of Australia’s Diva Down Under, Jamie Lee Wilson. The all-class Australian beauty has been topping charts across the world and wowing international audiences with her electrifying gigs, becoming the voice of choice for producers worldwide. With the big city lights calling, Jamie recently located to Los Angeles, fresh off the plane from performing in Europe, Japan, New Zealand and Australia. Wilson places her success down to perseverance, a real passion for music and a hard-working Aussie attitude. Jamie was recently a finalist for both Artist of The Year and the People’s Choice Awards and hit #1 on the LA Dance chart. Jamie has a string of successful collaborations under her belt with some of the biggest names in the business. She is collaborating with ASCAP pop award and 2 time Grammy Nominated songwriter and producer Tommy Faragher, Grammy Nominated House Music pioneer Todd (The God) Terry, Grammy Nominated hit electronic music producers Sultan & Ned Shepard, Grammy Nominated Joachim Garraud, Grammy Nominated Stonebridge, Grammy Nominated Dave Audé and vocal superstar Chris Willis to name a few. 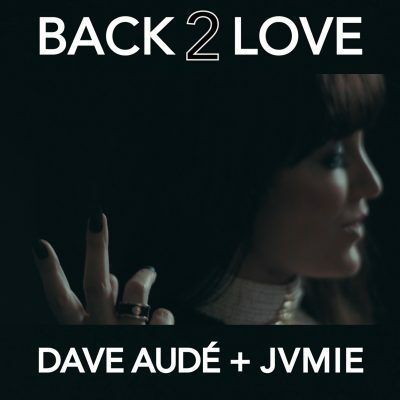 Jamie Lee has performed at festivals Creamfields, Summerfiveldayze and Sundown Music Festival, performed live on Good Morning Australia, Groove Cruise 2016 (Miami – Jamaica), Groove Cruise 2015 (LA – Catalina Island – Mexico) top LA clubs Avalon, Sound and Greystone Manor, live on radio in Europe, New Zealand and Australia, supported the likes of Kelly Rowland, Salt n Pepa, James Morrison, performed at Pacha Ibiza supporting David Guetta, supported Kaskade, CeCe Pension in Amsterdam, Steve Aoki in Japan, Carl Cox at Brixton Academy in London, The Freemasons, Junior Jack, and The Shapeshifters in London. Jamie Lee, a 2 x finalist in the Queensland Music Awards as a songwriter and producer, currently composing music for a major feature film, has a string of exciting singles on the way and has just released her first solo record, Crazy Beautiful. A song to stick it to the haters, Sticks & Stones with fellow LA based Aussie Tim Maxx was just released to rave reviews. Spotify and Apple Music featured her latest single “Out Of Nowhere” with Grammy Nominated Stonebridge which was in the top 30 most played songs on US Dance radio in 2015 and hit #1 on Zip DJ, top 20 on radio charts across the USA. Jamie Lee had a #1 on Track It Down for over 4 weeks with her single “Promise Me” which also hit top 10 on Beatport, she was nominated for Film Clip of the Year at the NIMA awards with “Tomorrows Heroes”, and hit #1 on the radio charts with “Would Not Change a Thing”. “Teardrop” out now with Sydney Blu brought the world famous Buzz Charts to tears and features on the album, Relentless which is sitting in the top 20 on Beatport and top 40 on the iTunes dance charts. “Your Love” with Kid Kenobi & Justin Hunter remained in the top 10 Aria Club Charts for 6 weeks consecutively, reached #2 on the Kiss FM chart and is now playing on both RAGE and Channel V, “Get What You Give” with Alex Kenji & Manuel De La Mare, out on Spinnin Records peaked at #17 on the Progressive House chart on Beatport. “Like A Flame” just was released in July with Todd “The God” Terry and features on In House Sessions, Ibiza 2015. “Where You Are” released on Japan’s Sushi Records hit #3 on the Beatport Charts, her most recent release “I Need A Miracle” debuted at #4 on Juno Downloads, “Stop The World” with Ralph Good released on Warner Music and Kontor Records, reached #3 on the EDM charts in Canada, featured on Beatport top 100 house charts, Berlin Fashion Week official compilation and Kontor House of House compilation. Jamie Lee has handcrafted a niche brand all of her own with singles like “Black Rain”; written with American house legend, Ron Carroll for which Jamie produced the Naked Remix which debuted on Cr2 Records. “I Think I’m In Love” with the Futuristic Polar Bears signed to Universal Music, ‘Champagne Nights’ with the Stafford Brothers, released on Ministry of Sound, “Can You Feel Me” signed to Universal Music reached Number 5 on the Australian radio charts and came out on “Pump It” Volume 4 compilation which peaked at number 3 on the Aria Charts. Jamie Lee has been a finalist in the worlds #1 Songwriting Competition ISC and the QLD Music Awards. A number of Jamie’s tracks also feature on Australian television, including drama series “Packed To The Rafters” and “Fashion TV” airing across the world. Jamie also co-wrote and recorded the new anthem for the Real Madrid Football Club with the Stafford Brothers. Jamie holds a degree in music from The Conservatorium of Music, majoring in Jazz Voice. Her radio show “Just Wanna Dance” featured prime time on Saturday evenings and Jamie Lee has hosted fashion, music and television events. Adding to her extensive list of credentials are some of the world’s top labels including Universal Music, Warner Music, Spinnin Records, Dim Mak, Blackhole Records, Kontor Records, Tiger Records, Nervous Records, Ministry of Sound, Hotfingers, Audacious and Cr2.